It took just nine games into the 2014 World Cup to see if the resources put into goal-line technology were worth it. On TV, in real-time, it was nearly impossible to judge whether a shot by France's Karim Benzema's crossed the line or not. For a moment the commentators, crowd and even the players paused. But it only took a second for the referee to blow his whistle and signal that it was, indeed, a goal. GoalControl had determined that the whole of the ball had crossed the line. So did it? Initial TV replays showed that it was dreadfully difficult to tell. Some angles seemed to suggest the entirety of the ball didn't cross the line; others suggested it did. For a referee and ref's assistant, it would have been nearly impossible to judge, and even then a decision would've been made more on gut feeling, not objectively. 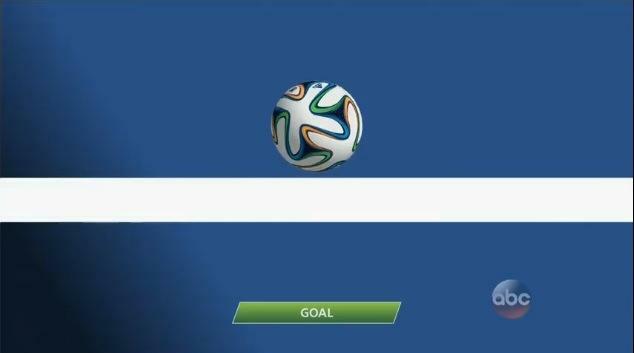 However, further replays showed that it was a goal—the ball did cross the line by the very slimmest of margins. Really, it couldn't have been closer. And that's exactly what the system needed in order to show the naysayers that goal-line technology works. On the world's biggest stage, technology proved it belongs. We already detailed how a system like GoalControl works. Basically, each World Cup stadium is outfitted with fourteen cameras, seven around each goal, that take 500 pictures per second. If the ball has been determined by the system to have crossed the line, an encrypted signal is immediately sent to a watch on the referee's wrist, flashing "Goal." The referee ultimately has the authority to determine whether to give a goal or not. But after yesterday, there should be no reason to doubt the technology. This wasn't another Frank Lampard moment. Nobody was sure if the ball had crossed the line. Even the play-by-play announcers on ABC in the U.S., after seeing initial replays, were skeptical. But once GoalControl provided its replay data to TV audiences, it was clear a goal had been scored. This was the first major test of GoalControl during the tournament, and it passed with flying colors.